EXPLORE – Play, relocate or just explore: Our relocation tours have SPECIALIZED in Southern Costa Rica since 2006, and we know all the many (and often hidden) wonders in our area. 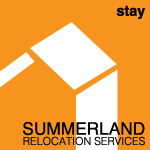 STAY – Vacation, short and long term rentals: We always RECOMMEND long term rentals and frequent visits before making your final move here. PROPERTY – Buy, sell or create your own development: We have the EXPERTISE to save you from the pitfalls and help you create your dream. CONSTRUCTION – Build, remodel or repair: From the first sketch on a napkin to moving you in, our work is GUARANTEED – we take the headaches out of building. TOTAL MANAGEMENT: – Residential Concierge Services, Property Maintenance and Management : We handle it all from GUIDANCE to MANAGEMENT from teaching you how to pay your bills to paying them for you. To learn more about SRS-CR please visit our team pages If you have questions or need more information, please email Jane Gregson, jane@srs-cr.com or call us on (506) 4070-0400. We invite you to explore our site and our world. Click here for our quarterly newsletter. Do you need help with this? Summerland Relocation Services (SRS) will complete this process for you … Contact us and let us consult you through the process. Most individuals who own property here in Costa Rica do so under a corporation name. This means you pay corporation tax every year. In 2018, there were revisions made to the laws which require you to submit a form and pay taxes. See our articleon what was done last year to get a better understanding of the history. If you haven’t done so already, you will need to complete the D-140 tax form and submit it to the Tax Administration. Now we are writing about how to register shareholders and beneficial owners in Costa Rica. The government requires, by law, shareholders or beneficial owners of any Costa Rican corporation or foreign company to go through a very specific registration process. This process has been newly instituted and the obligation begins March 1st, 2019. The climate here, according to Donaldo (yours truly), can be broken down into somewhat geographical areas that might go like this: Northwest is hot and dry; Southwest is hot and humid; East coast is hot and humid; Central Valley, where most of the population lives, varies but the valley is warmer than the area that we live in, which is the Zona Sul. Summerland Relocation Services (SRS) was founded by Jane Gregson, providing relocation services to Americans and Canadians coming to Costa Rica for almost 15 years.